The heart and mind of the ISFJ is a warm and perceptive place. These kind, down-to-earth individuals have a keen awareness of the details around them. They combine this sensing ability with Extraverted Feeling (Fe) to instantly notice the emotions, motives, and moods of others. They combine a practical, friendly demeanor with an intense loyalty and selfless devotion to their loved ones. that ISFJs believe in “guarding others against life’s pitfalls and perils”. ISFJs can often be found in hospitals, classrooms, or in other service professions taking care of detail-oriented work that allows them to serve humanity. They quietly seek to heal the world’s ailments and are abounding in empathy for hurting people’s afflictions and trials. ISFJs have Extraverted Feeling (Fe) as their auxiliary function. They combine Fe with Introverted Sensing (Si) to notice all the details of the people they care about. They’re quick to observe sideways glances, changes in body language, and small details that betray how people feel. If you are in emotional distress and you are in the presence of an ISFJ they may be the first person to pull you aside, give you a shoulder to cry on, and provide hands-on help and assistance. ISFJs believe in providing service to people who need it, not just listening and talking about problems. They tend to be naturally skilled at finding practical, tangible solutions and gifts that will help the people they care about in a real way. that Fe-users “use neocortex regions that help them communicate, evaluate others’ behavior, plan for the future, and analyze complex problems.” He goes on to say that Fe-users focus on people-related issues and like to communicate their explanations and decisions. They focus on social and ethical responsibility and can instantly adjust to social feedback. When ISFJs (and all Fe dominant or auxiliary users) experience negative input from the outside world (such as an eye roll or a frown) they feel intense embarrassment, guilt, or shame. This is why ISFJs place such importance on manners and presenting themselves well. They are usually excellent hosts or hostesses and they enjoy helping out in various community or religious events (depending on their beliefs). According to Nardi, ISFJs are more left-brained than INFJs, showing activity in regions that allow them to recall facts, follow steps, and “mimic” others’ behaviors. This allows them to navigate social settings with a certain grace and awareness of the feelings and needs of others. Their perceptiveness and listening skills allows them to make people feel at ease and comfortable in their presence. ISFJs are excellent at surveying the feelings and moods of others. Their intense awareness to detail allows them to notice changes in expression or body language. For this reason, ISFJs (and other Fe users) may be the quickest types to notice if someone suddenly feels uncomfortable, sad, or offended by something. They can also easily recall the intention of certain expressions and types of body language. For example, if a young ISFJ sees a particular person lying, they will remember any non-verbal cues that the person used while they were lying. As they get older if they see someone else using these same expressions or cues they may realize this person is lying before other types do. This recall of what certain gestures and expressions mean makes ISFJs skilled at understanding non-verbal cues that people don’t realize they are sharing. 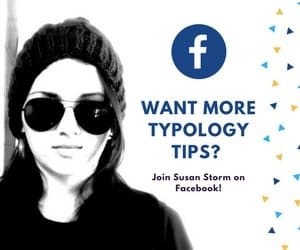 Because of this ability, the ISFJ can often read between the lines when people are speaking and pick up on unsaid feelings, motives, and emotions that aren’t being directly shared. Because ISFJs care so greatly about meeting the needs of others, they are prone to burnout. They are so focused on maintaining harmony in their outer world and helping others that they often neglect their own needs. They may feel like they have to be the “perfect” parent, create the perfect meals, clean everything, fix everything, and they may not give themselves a chance to rest or recharge by themselves. ISFJs don’t like to ask for things for themselves, and they tend to feel awkward asking for recognition, so others many not realize how tired they are becoming. 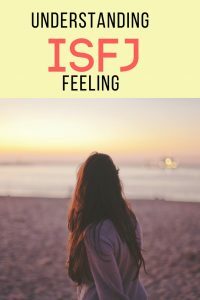 This can result in the ISFJ feeling taken for granted or taken advantage of. Because they so easily see what people need without having to be asked, they often greatly desire for other’s to give them this same gift. Sadly, many times their hard work becomes accepted as the new “normal” for their loved ones and they are rarely given the credit they are due. ISFJs will work tirelessly for the needs and protection of those they love. They are prone to worrying and experiencing extreme stress when there is any kind of conflict in the home or they feel someone they love is in distress. They may try so hard to “fix” any kind of disharmony that they forget about their own internal harmony. Because ISFJs use Fe and readily sense and feel other people’s emotions they can feel lost when trying to take care of their own emotions. They may even struggle with understanding what is bothering them and how exactly they feel. Because of this they may push themselves further and further to take care of others, while internally they experience increasing turmoil that they can’t identify easily. ISFJs need to make it a priority to make time for themselves and their own needs. ISFJs are one of the most common victims of chronic stress. In fact, according to the MBTI® Manual, ISFJs ranked second highest in both “emotional exhaustion” and “depersonalization” burnout scales. How Can ISFJs Reduce Stress? ISFJs need to give themselves regular time alone to recharge. As introverts, alone time is essential to keep their energy levels up. This also gives them time to work through their feelings and come up with solutions for dealing with any internal conflict they might have. ISFJs need affirmation for what they do from loved ones. More than a lot of other types ISFJs can be taken advantage of for their kind deeds and not given the thanks they deserve. ISFJs also can feel better after venting to a loved one. Because ISFJs use Extraverted Feeling, if they are allowed to get their feelings and thoughts out into the world somehow (through speaking or writing) they are then able to feed those thoughts back into their judging process (Fe) to understand them. While Fi users organize and manage their emotions internally, Fe users need to be able to process them externally in some way so they can sort them out. This is why it’s especially important for ISFJs to have a true friend or confidante they can go to when they are feeling emotionally overwhelmed. – ISFJs are the second most frequent type among education majors. – ISFJs are rated by psychologists as one of two types least likely to have trouble in school. 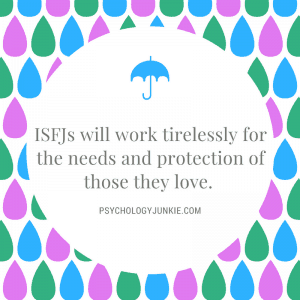 – According to the MBTI® Manual, the most important job features to an ISFJ are having a stable and secure future. – ISFJ occupational trends include education, health care, and religious services. ISFJs are some of the most unsung heroes in our world. Though modest and reserved, these personalities provide practical help and reassurance to the afflicted and suffering. They are incredible listeners and are selflessly devoted to the ones they love. 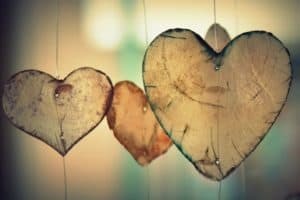 If you have an ISFJ in your life try to make some time to show them how much you appreciate what they do and how much you admire their unique gifts. Do you want to find out more about ISFJs? Check out these amazing resources! Great article! I’m an ISFJ and this is spot-on. 🙂 Extraverted feeling is so intense sometimes that I’ll become embarrassed or upset for other people; i.e. if I see others involved in a conflict, I’ll start feeling as if I was in that conflict myself! And that’s why it starts to get to be a bit of a burden sometimes xD. I feel everything everyone else is feeling. I also like how you mentioned ISFJs’ quirky sense of humor- very true!